Nonetheless, for vegetarian purists and vegans, even a tiny bit of meat can add an unwanted flavor, or be considered as a contaminant. As a practicing vegetarian since the mid 1980's, and missing my mother's "BBB," (as we used to refer to this dish), I eliminated the pork and found another way to keep the recipe as genuine as possible. 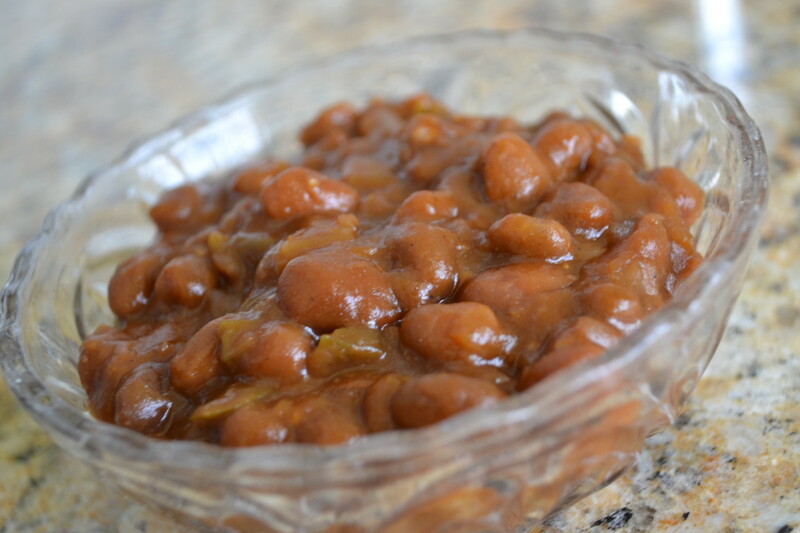 Boston Baked Beans with brown bread is a traditional New England meal. Please do not freak out about the preparation and cooking time. Much of it is unattended time, while the beans soak overnight, and bake in the oven. You are free to do other things during these hours, such as get some quality sleep while the soaking happens. Next, par-boil (meaning to boil them for a while before putting into the baking dish) the beans so they will be sure to get fully cooked. 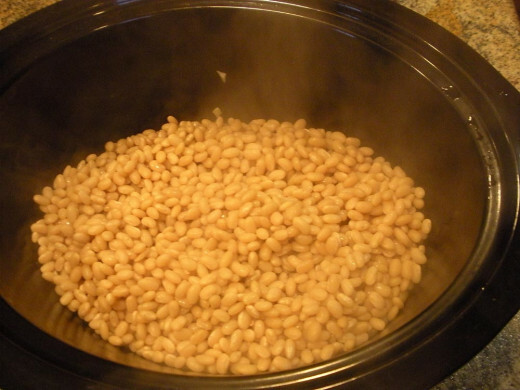 Boiling beans will create foam; it is not harmful, and can be ignored, but you can skim it off if you wish. 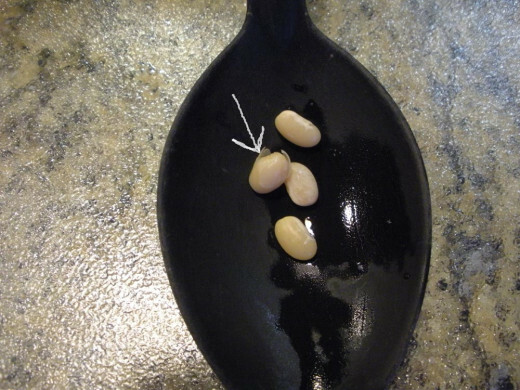 Cover the soaked beans fully with fresh water, and bring to a boil. Allow to boil until the skins roll back when blown upon, about 20 minutes. Drain the beans. 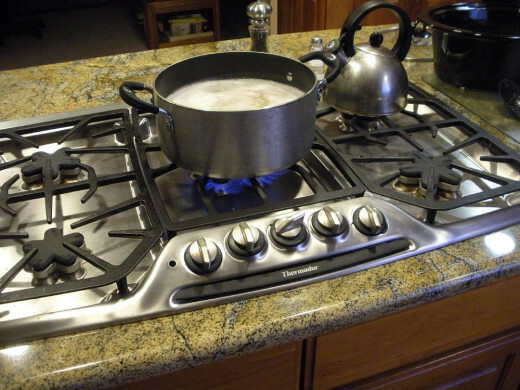 Start a pot of fresh water on the stove to boil. 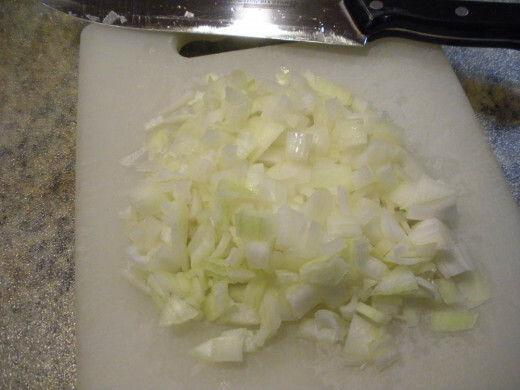 Place all ingredients except the beans in the bottom of a bean pot or 2-quart casserole with a snug-fitting lid. 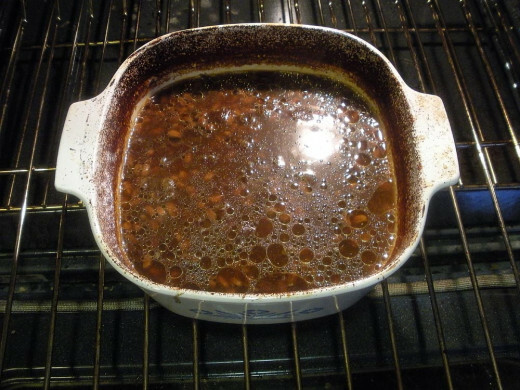 Dump the beans into the pot or casserole on top of the other ingredients. Pour boiling water over the top to just barely cover the beans. Cover the pot. 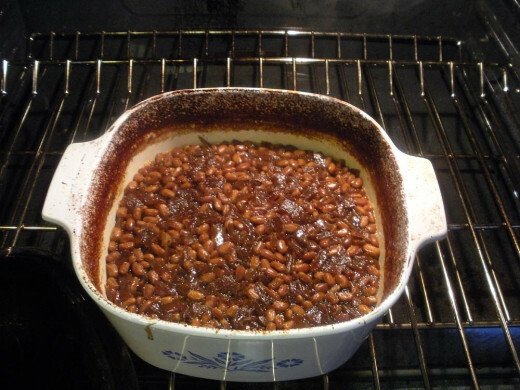 Place beans into the oven at 350° F (176° C) for 8 hours. You will want to check them every hour or so, and top off with a bit more boiling water. Don't let them cook dry. At the end of the cook time, remove bean pot to a heat-proof mat, and allow to stand for a few moments prior to serving. Ooops! Check Your Cooking Pot First! I actually have an antique bean pot that my mother used; it was her mother's before her. I've used it myself in the past, but it suddenly occurred to me that as old as it is, the glaze used on the pot is undoubtedly a lead-based glaze. Not wise to use such containers for food, now that we know these things that prior generations did not. I was therefore going to use the crockery insert from my slow cooker instead, but still wanted the beans done in the oven, as is traditional. Lo and behold, did I ever goof! It turned out the handle on the lid is plastic, and before it was in the oven very long, it had melted out of shape! Normally, you do not stir the beans during cooking, but this time, they got fully stirred and mixed during the pot-changing process. Oh, well. No harm is done if you do stir or mix; it just is not the traditional method. Lesson learned: check your cookware prior to putting it in the oven so you know it can handle the heat! Be sure to have a snug-fitting lid to cover your beans as they cook. This will both protect your oven from spatters and help keep the moisture in the beans. The photos above have the lid removed for photo purposes, but you can see by the sides of the dish what a mess you might have without the lid. The clear glass lid to the pot I used was so covered with splatter that it became opaque! Photos through the lid would have been impossible. No wonder the antique bean pots were glazed with a dark brown color! 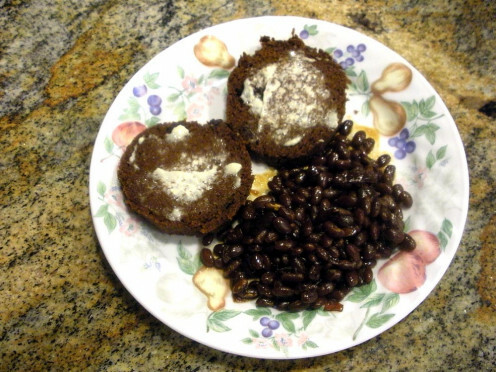 We used to always have just the beans with brown bread, and maybe a tossed salad. 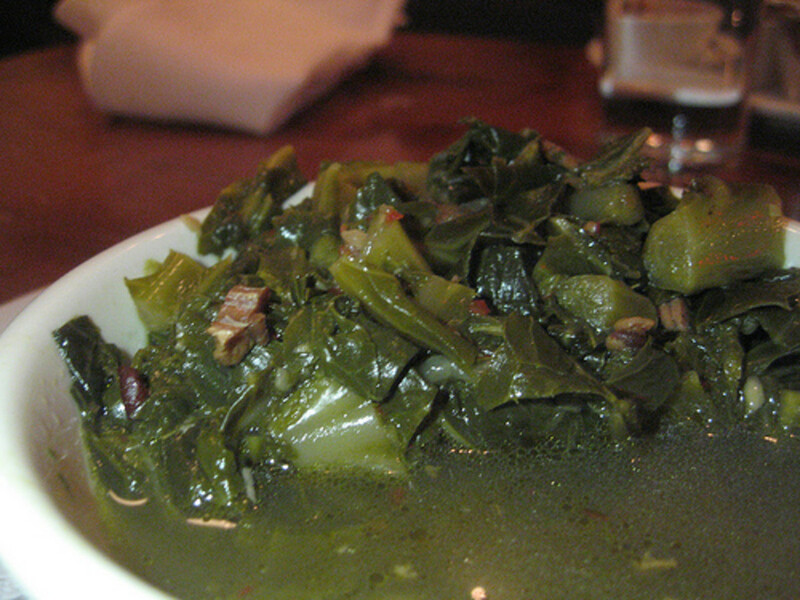 Other vegetables can be added as a side dish, perhaps squash or spinach. 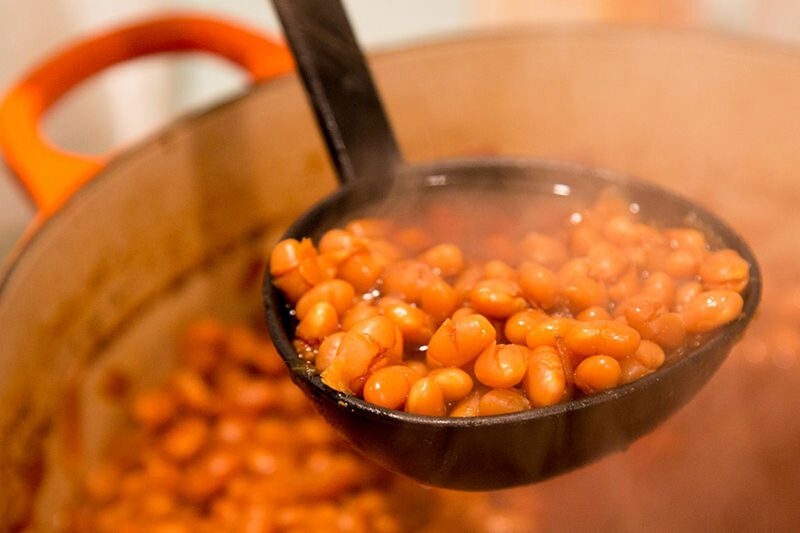 The beans can be eaten plain, or served with ketchup (a kid favorite), or some like them with piccalilli, a sweet relish made from green tomatoes, another New England tradition. My mother used to eat leftover baked beans cold, in a sandwich with mayonnaise. I never got into that--it doesn't even sound good to me. But apparently is an Old New England practice, for that is where she grew up. Enjoy your fresh, home made baked beans any way you choose; there are no right or wrong ways, as long as you like what you are eating. 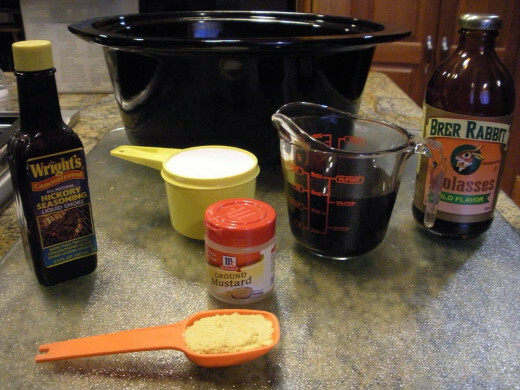 I use brown sugar sometimes, mostly molasses, and other times, I use both. It depends on my mood and what I have on hand. It's a fairly flexible recipe, but I didn't add 'and/either/or' to the recipe here, to avoid confusion. Thanks for stopping by, and sharing your memory of your mom's baked beans. Cheers! I'm not sure where your source might be, but we find smoke flavoring in the same section of the store with the things like ketchup and mustard. Failing that, you might be able to purchase it online. 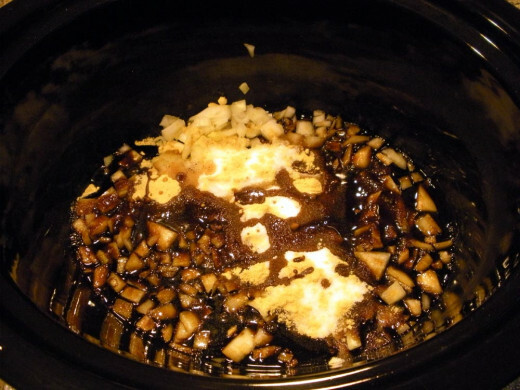 I'm glad you liked the recipe; be advised the beans are less dark if you use light molasses, which the original recipe calls for--I prefer the more bold flavor of the dark variety. 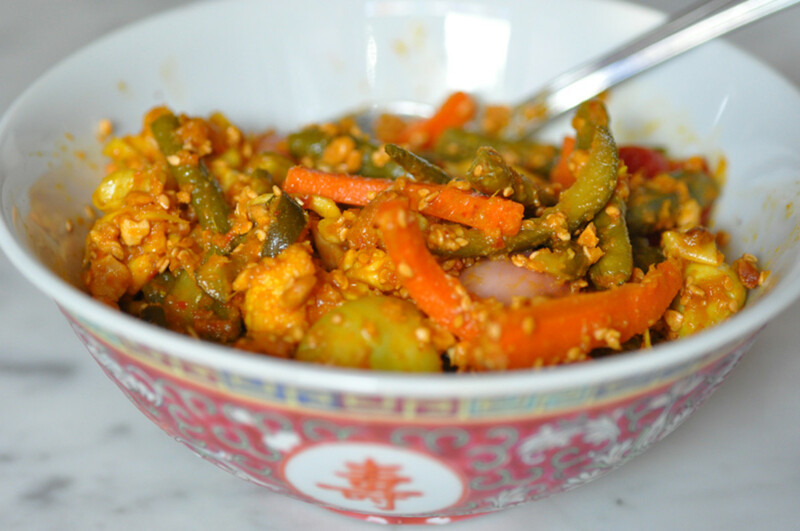 This looks like a great recipe for vegetarians - I am always on the lookout for something new or something you can make with minimal fuss at home. I don't know where I would be able to purchase smoke flavouring, but I do have access to lots of different molasses in the supermarket where I work, so I look forward to trying out different molasses to see what flavours can be achieved. Voted up and useful! 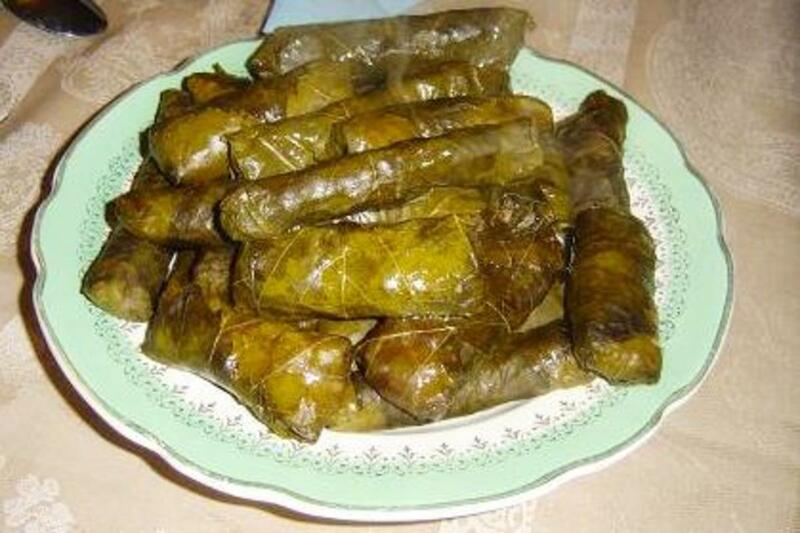 @ catgypsy--Glad you liked the recipe; I hope you enjoy them. Thanks very much! @ b.Malin--Thank you very much for the nice compliment on the photos! I, too, enjoy beans, and am always on the lookout for vegetarian options; I've converted many old family recipes. Glad you enjoyed the recipe! Hi DzyMsLizzy, I so enjoyed reading and looking at your Wonderful pictures, I'm a Bean lover, and vegetarian beans are my choice as well. I will definitely try your Recipe. Thanks for sharing. Sounds perfect and I'll bet you wouldn't even miss the salt pork! I'm definitely going to try these. Thank you very much. I'm delighted you like the recipe. I agree, I'm always on the hunt for vegetarian dishes. Thanks for your comment. Well done instructions. This looks good. We need all the vegetarian options available. So pleased you liked this recipe and the photos. Thanks so much for stopping by! Sounds simple and delicious! Nice and well done hub with helpful pictures! I like it the vegetarian way.